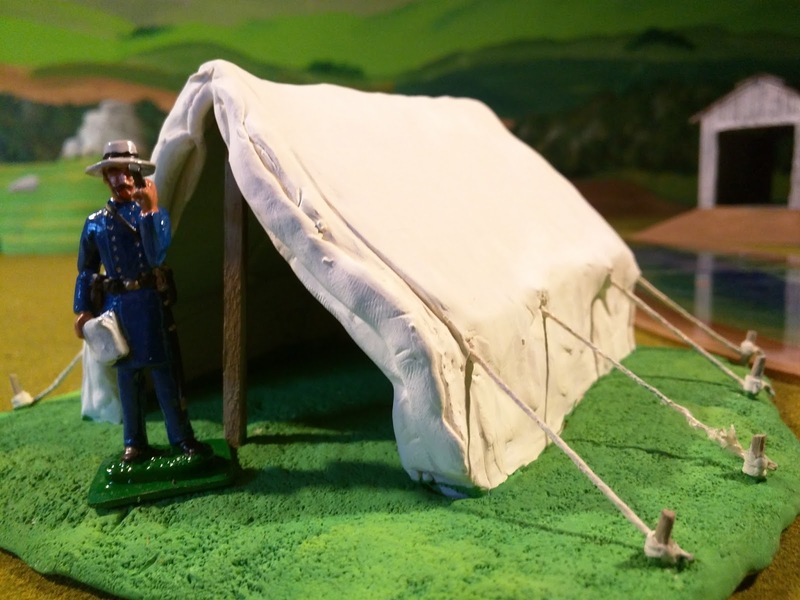 A common fixture in Civil War encampments, both Union and Confederate, was an awning made of poles and foliage called a "shebang" or "she-bang". Easy to erect from materials nearby, the shebang offered cool respite from the hot sun. 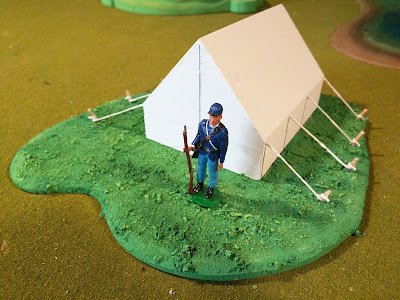 I decided to make a 55mm shebang for use with my soldiers. First I needed a base to mount it upon. I salvaged a sheet of thin plywood from an old file cabinet that I once had. At the band saw I cut a piece roughly 6"x6". 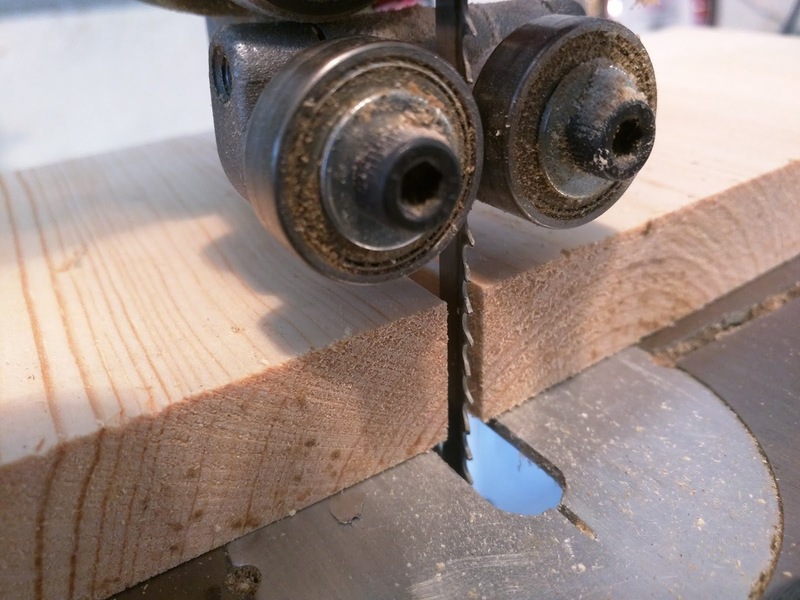 Then it was to the belt sander to bevel the edges. 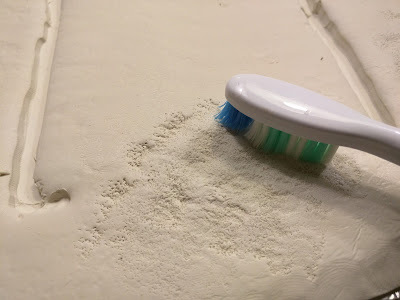 Four holes were drilled in the base to receive the upright poles. Using hot glue the framework was assembled. 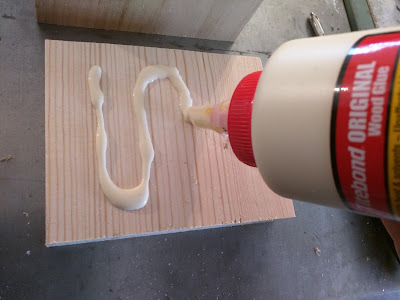 A thick layer of paint went on the base and a handful of sawdust was applied for texture. 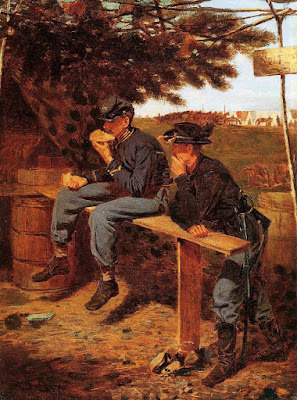 Winslow Homer is my favorite Civil War artist, and here, in "Home Sweet Home" a shebang can be seen in the background. With lichen applied as the boughs, the finished product finds the corporal of the guard reading the morning orders. And that's the whole shebang. I'm sprucing up many of my scenics with shrubbery, and I like the effect. Preserved lichen can be purchased at any hobby store (I boycott Hobby Lobby) and averages around six dollars per bag. 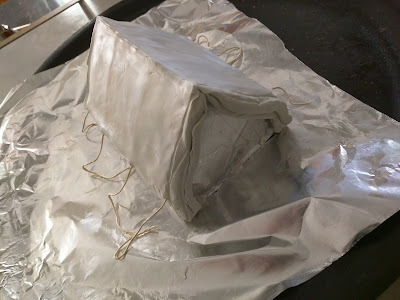 The lichen in the bag is pretty compressed so when you dump it out and leave it overnight it expands to its actual size. As you can see above, there's a lot of product in the bag. Craft lichen comes in a range of color mixes from spring to autumn foliage. This is one of my stepped, upland scenics which looks pretty sterile. Hot glue is the perfect adhesive for lichen which is very spongey and the hot glue gets a particularly good grip. Lichen grows naturally in moist wooded areas. The greatest cache of lichen I've ever found was at Detour State Park in upper Michigan. Lichen in its natural state is quite stiff, and as it dries it becomes increasingly brittle and eventually breaks down. Craft lichen, however, is pickled in glycerine and remains soft and pliable though perfectly preserved. 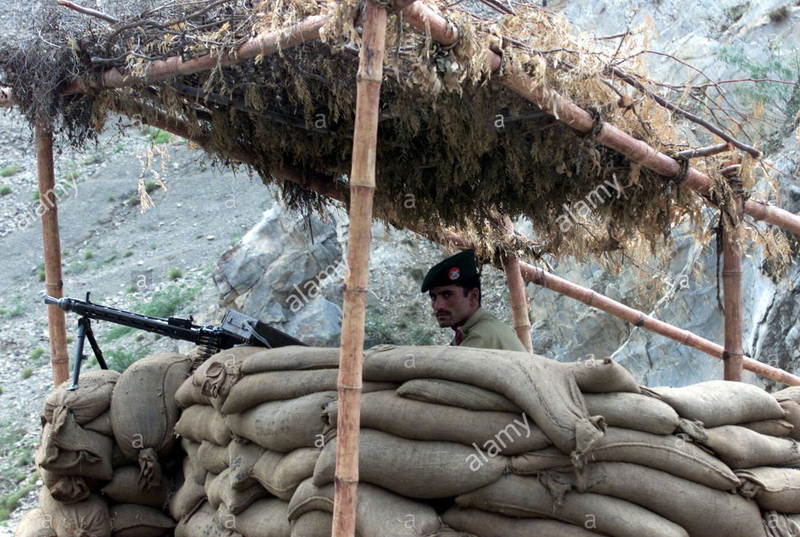 Even just randomly sprinkling the clumps of lichen over your battlefield will really enhance its appearance. When the smoke clears, just pack it all up in a large Ziploc bag where it'll remain dust-free until the long-roll sounds again. First of all, a big shout-out and acknowledgement to friend and fellow blogger Scott Lesch who inspired this newest project. 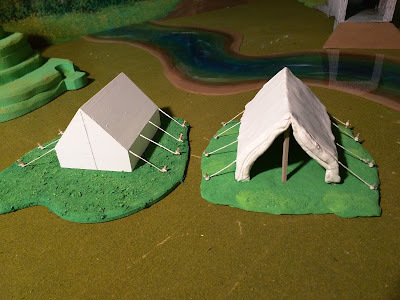 Recently Scott posted to his blog I Like the Things I Like his fantastic conversion work on Safari Plastics army wall tents (here). His work quickly had me rummaging around the wood pile. I had been thinking about making or buying wall tents as well as dog tents for the toy soldier table. Always looking to do things on the cheap, rather than buy tents from Safari, I decided to try and make my own. 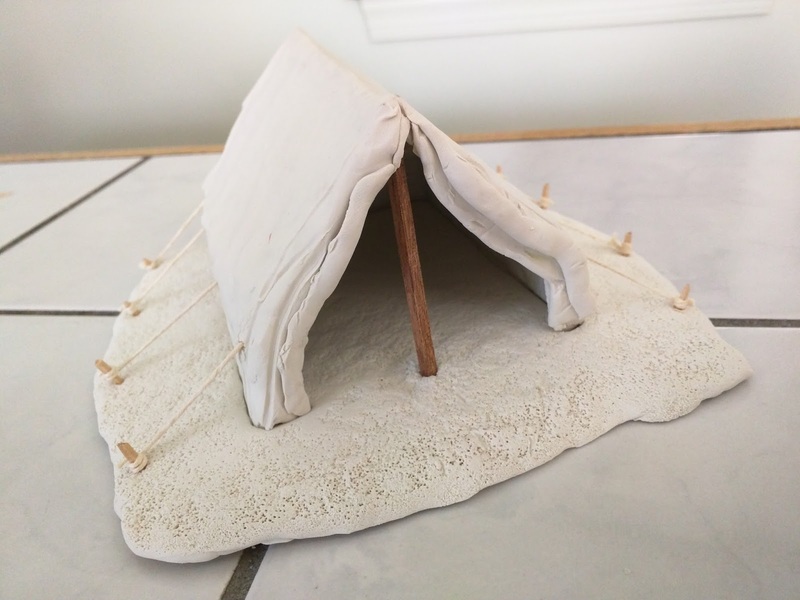 The primary material I used was Sculpey which I've worked with a lot over the past thirty or so years. 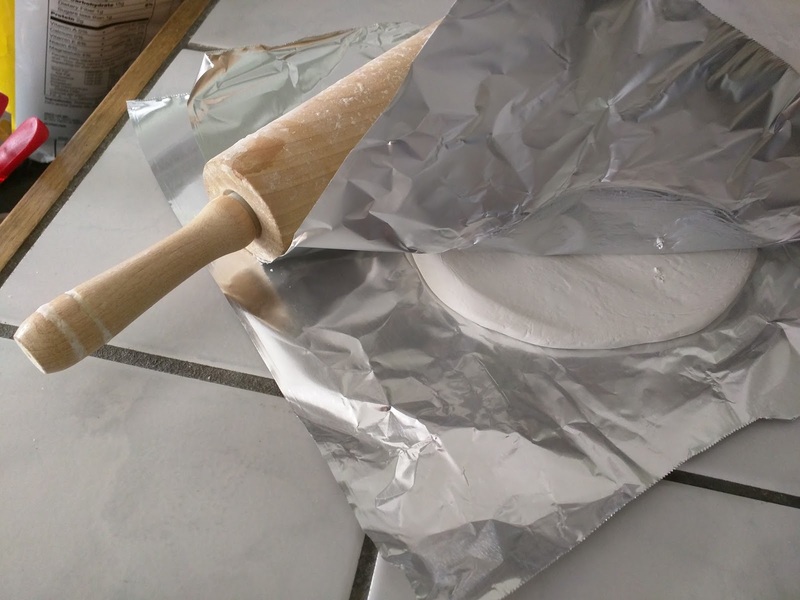 It's a poly-form plastic modeling clay that's very easy to work with and oven bakes to a permanent hardness. Step one was to make a wooden armature to drape the Sculpey over. Off to the scrap pile I went to select some nice pine leftovers. On the bandsaw I cut the pieces to dimension. The next step found me at the disc and belt sander making each plane perfectly smooth. 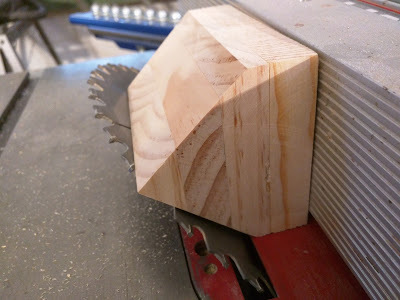 The table saw was the next operation where I cut the sloping angles of the tent's roof. Then I started the laborious process of rolling out Sculpey. This took a lot of time and elbow-grease. The foil-wrapped armature is at the upper right and the rolled-out Sculpey is ready to drape and shape over the wooden support. Guy ropes were added at this stage. At about this time I knew that the finished product wasn't going to look a good as the Safari Plastics product and that the time and materials already invested dwarfed what one of the store-bought tents would cost. 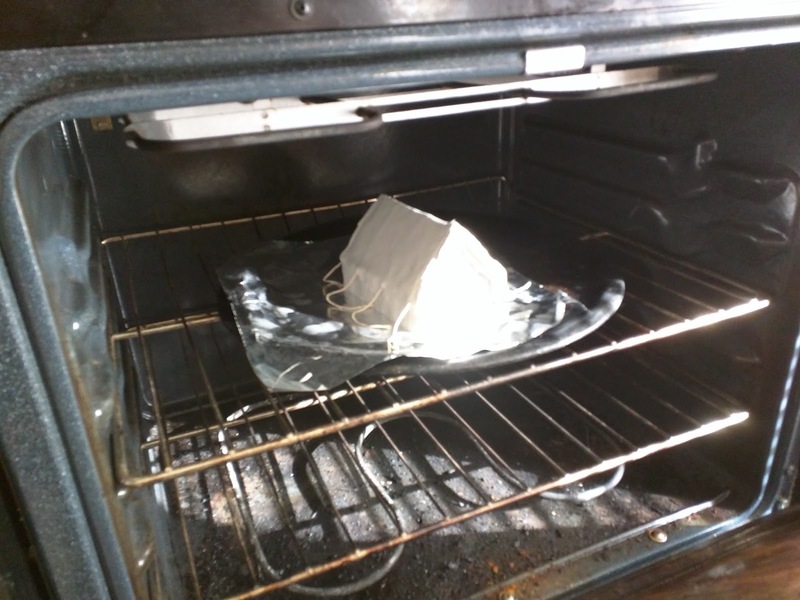 Into the oven; 275 degrees for 25 minutes. 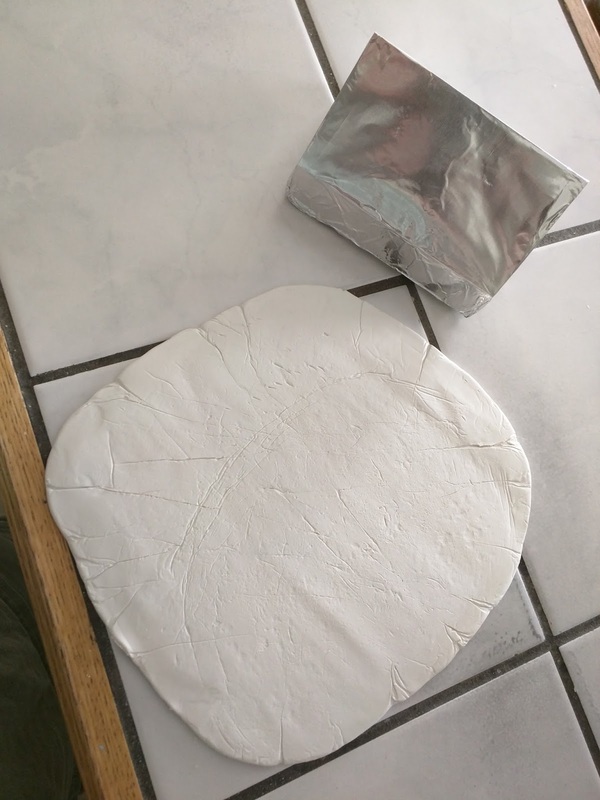 Next I made a base on which to mount the tent. I pressed the now firm tent into a base of Sculpey and used an old toothbrush to make a grassy texture. I put the two components together and added a pole and tent pegs and popped the whole thing into the oven for another 22 minutes. Now, all baked and hard, it was time to paint. 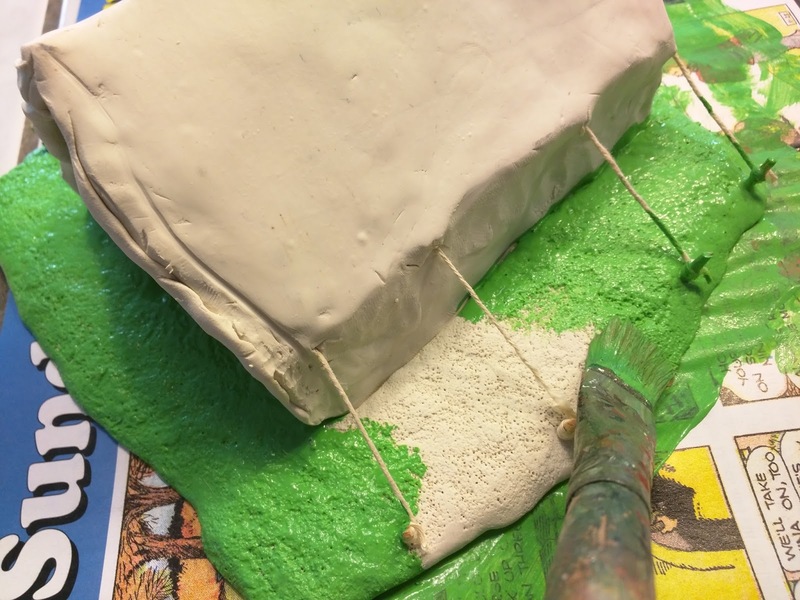 Pegs, ropes, tent pole, canvas, and grass were all painted with craft acrylics. And this is the result. When compared to the job that Scott did, this is a pretty poor cousin. 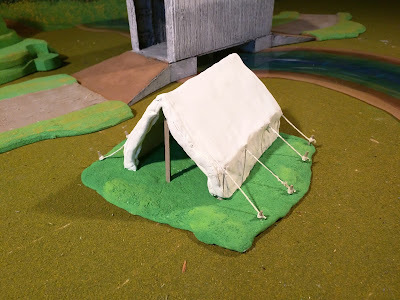 Nonetheless it was a fun and instructive exercise, it got me out to the shop (which is always a good thing) and I now have a pretty serviceable wall tent for the troops. I concluded that time and expense would keep me from doing this again, so I decided to make use of the wooden armature as well. Here's the finished product. Most of my scenics are made of wood so this fits right in. 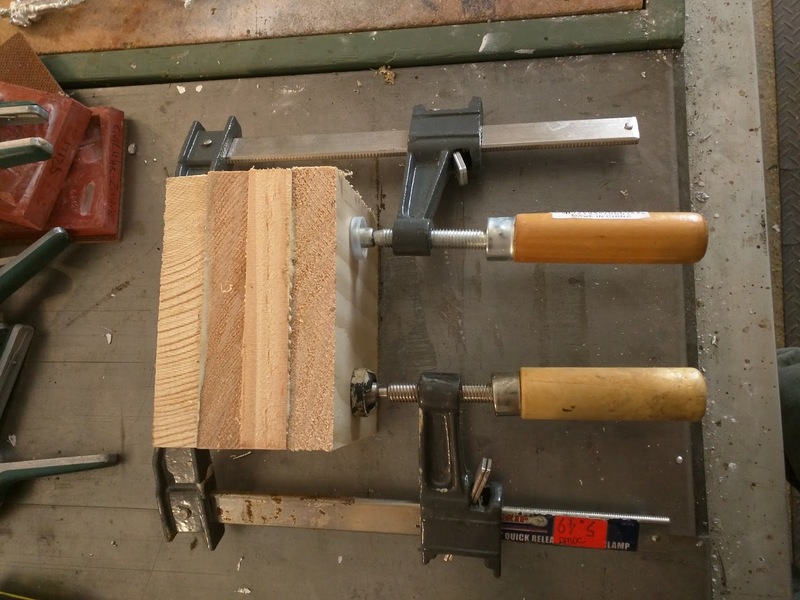 The base is a salvaged piece of plywood which I cut on the band saw with a nice organic shape. I applied a very thick base coat of green paint and liberally sprinkled sawdust over it. When the base coat was dry and the sawdust locked in I gave it all a two-tone green overcoat. I drilled holes for the guy ropes and the tent pegs and glued the whole thing together. The side-by-side shows two very different approaches and, though nowhere as cool as Scott's, it was still a satisfying day and a half project that left me with two serviceable wall tents. The ordnance rifle was a favored gun for both Union and Confederate armies. Although all of the nearly 1400 guns produces were for Federal forces the Confederates did prize those that they were fortunate enough to capture. Union General George D. Ramsey, Chief of Ordnance US Army said of the three-inch ordnance rifle: "The experience of wrought iron field guns is most favorable to their endurance and efficiency. They cost less than steel and stand all the charge we want to impose upon them..."
The m.1861 fired bolt, shell, and case shot. Canister was also carried in the limber although canister was not as effective in rifles as it was in smoothbores. The detail is incredible on this little gem. and fired projectiles with great accuracy. The splendid detail includes the hanging bracket for the pendulum-hausse rear sight. The trailspike is at the perfect height for the Britains Swoppet artilleryman. as well as one of my Napoleons. In 2002 Britains produced its first-generation ordnance rifle and the difference between the two editions are obvious even upon the most casual inspection. The current issue is on the left and the 2002 on the right. Compare the width of the trail as well as the thickness of the wheels. tabletop battles for many years until the better one came along. American Civil War light artillery.